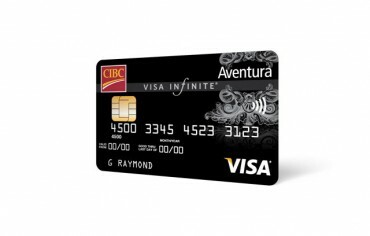 Credit card travel insurance is a great idea for any trip. Many credit cards provide travel insurance, which can extend from medical coverage to trip cancellation coverage. It may also include flight delay insurance that’ll protect you against unexpected expenses associated with a delayed flight. If you have to take the red eye and your flight is delayed until morning you’re likely going to have to rent a hotel room and eat. With flight delay insurance, some or all of these costs are covered. 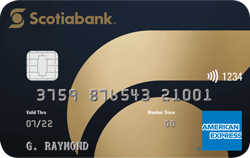 The Scotiabank Gold American Express card will cover up to $500 per person when there’s a flight delay. Coverage extends to necessary expenses such as food, refreshments, and accommodations. The flight must have been delayed for more then four hours. At least 75% of the full cost of the flight needs to be charged to the credit card in order for you to receive coverage. 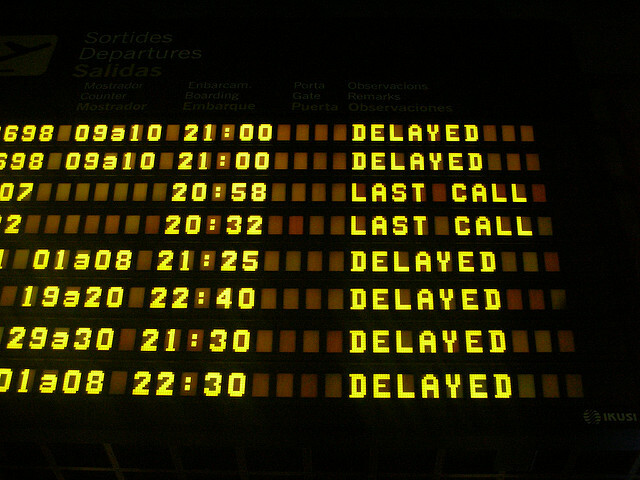 The MasterCard travel insurance offers up to $500 per trip in the event your flight is delayed. 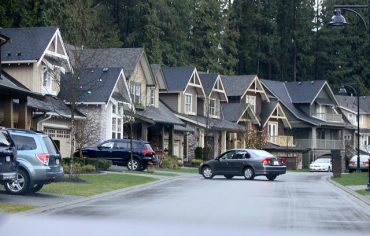 Coverage can be used towards some additional travel expenses such as food, beverages, and accommodations. The flight must be delayed at least six hours from its scheduled departure. 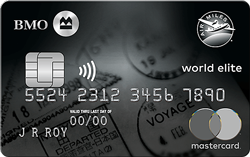 A portion of the flight’s full cost, if not all, must have been paid using your BMO World Elite MasterCard.